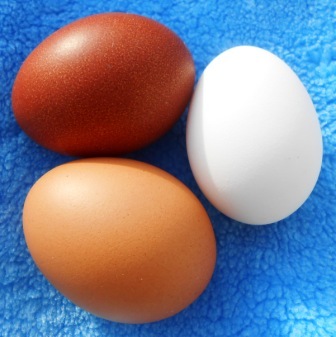 It is traditional to “fine” red wine with egg white. In this era of product traceability we have to track back to a specific hen, so some lovely hens were purchased to provide different coloured eggs. They are fully vaccinated, fed on layers pellets and grain with sunflower seeds as “treats” and are not allowed kitchen scraps.They have an enclosed run, and their own garden, nicknamed “Chicken World” as well as the vineyard to roam. Their favourite place is under the beech hedge. 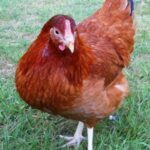 The hens are restricted to their run at the moment because DEFRA has placed an “Exclusion Order” on all domestic poultry, due to recent problems with waterfowl. 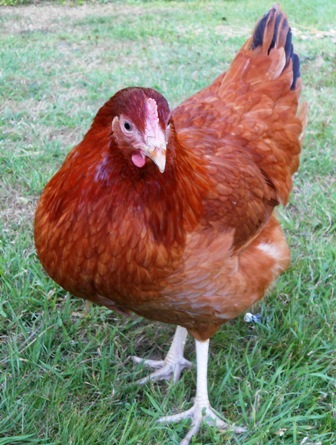 This means visitors can see our hens from a distance but, regretfully, cannot take them for a walk or have a cuddle.